Flat oval spiral duct and round spiral duct? 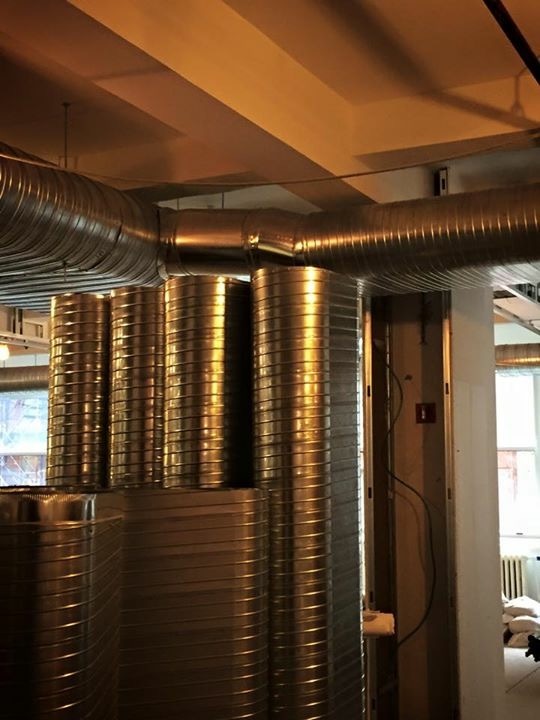 As the market continues to grow for Spiral Pipe, you may be asking yourself..'Why chose spiral pipe over traditional rectangular ductwork? 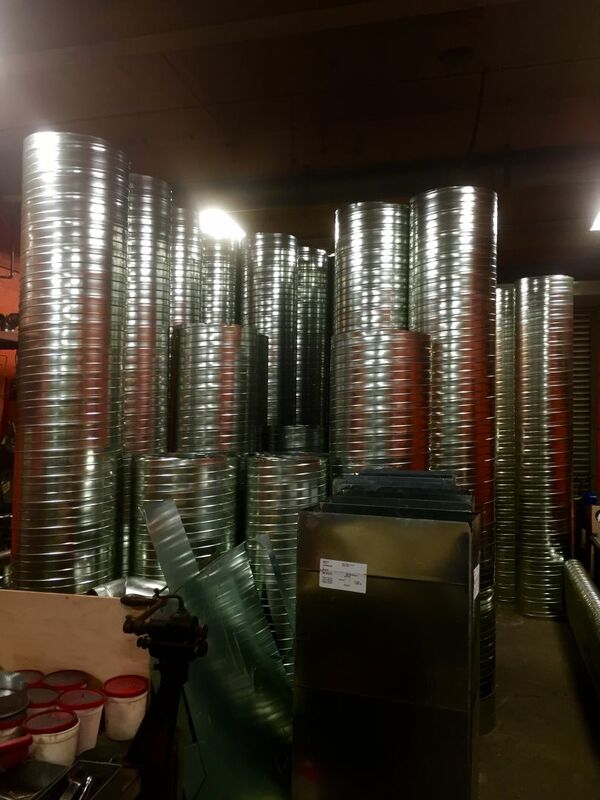 Purchase Flat Oval and Round Spiral Duct at Tinsmith & Roofer Supply Corp.
Our mission at Standard Tinsmith & Roofer Supply Corp. is to be your most reliable source for all your metal products. 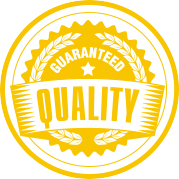 Our commitment is to ensure your success as our customer, and we do so by having knowledge in all areas of our trade and business. Our team will now offer you, spiral duct and flat oval work too. 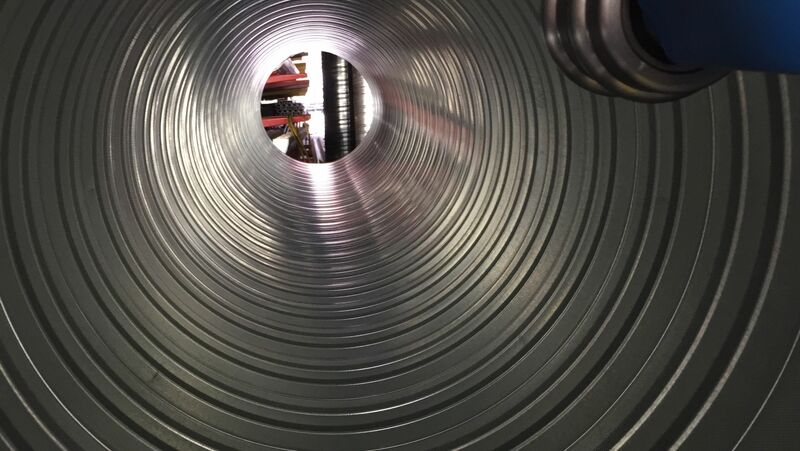 Our retro industrial duct work is equally energy proficient, and we are making it less costly to you on monthly utilities, as well as very pleasing to your eye. 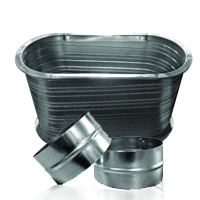 Our stock comprises diverse coils and gauges of sheets of several particular types of metals. 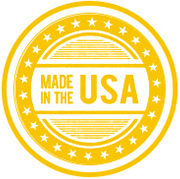 Moreover, we offer you installation materials and a complete stocking line of HVAC merchandise. Our team is fully trained and ready to assist you anytime with any concern or question you may have. 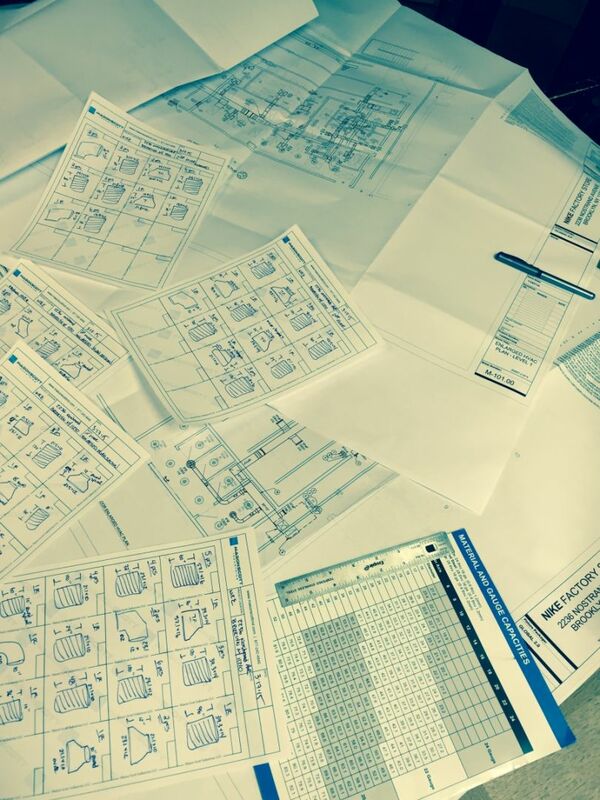 We will make your job easier by helping you when you need your next HVAC fabricated, designed, or measured. We have over 100 years of manufacturing Authentic Decorative Metal Ceilings and Walls. We use sand casted steel dies that are original, and our massive Bliss Power Press ensures that you have a uniform, clean, and clear stamp each time. Standard Tinsmith & Roofer Supply Corp. has been manufacturing Authentic Decorative Metal Walls & Ceilings for over 100 years. Using original sand casted steel dies, our massive Bliss Power Press insures a clean clear and uniform stamp every time. Over 40 patterns & 18 cornices designs to choose from. 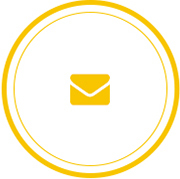 Finishes available are Steel, Brass, Copper, Chrome, White and Stainless Steel.